I've decided to start a new recurring column on the blog, called Friday Favorite. I thought it would be fun one Friday a month to write about a food-related something that I am really liking at the moment. It might be a kitchen gadget, an app, a TV series, or maybe even an ingredient. Who knows what will strike my fancy? For this first Friday Favorite, it just so happens to be a website. At the end of my recent recipe posts, you might have noticed a little orange Yum button. See, that's the Yum button. Next to it is the number of Yums the recipe has gotten on Yummly. 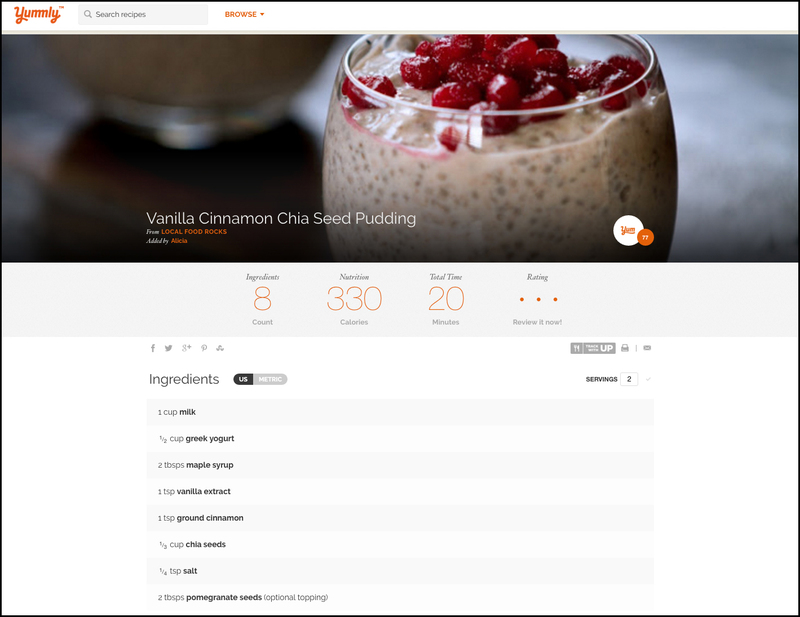 If you aren’t already familiar with this recipe bookmarking site, I’d like to introduce you to Yummly. It’s like Pinterest, but exclusively for recipes. I’ve known about it for years but only just started really putting it to use. It has a few cool features that I think are worth a look. When you Yum a recipe, it’ll save it to your profile. Easy, right? 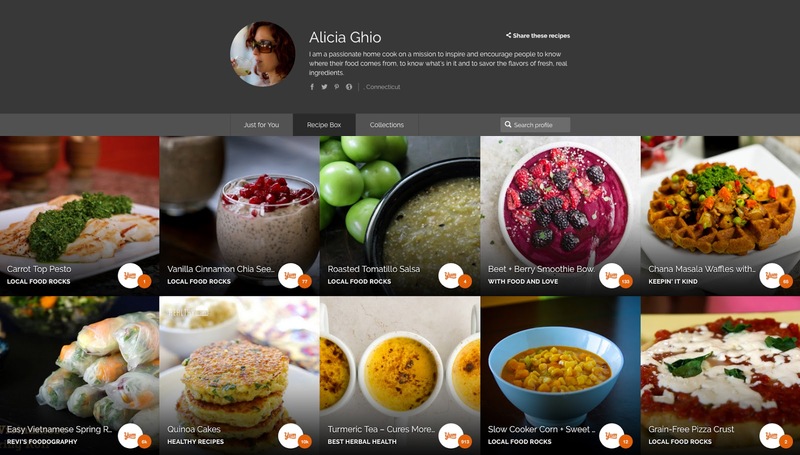 From there you can organize your saved recipes into collections. It’s like the old-fashioned recipe box, just made digital. 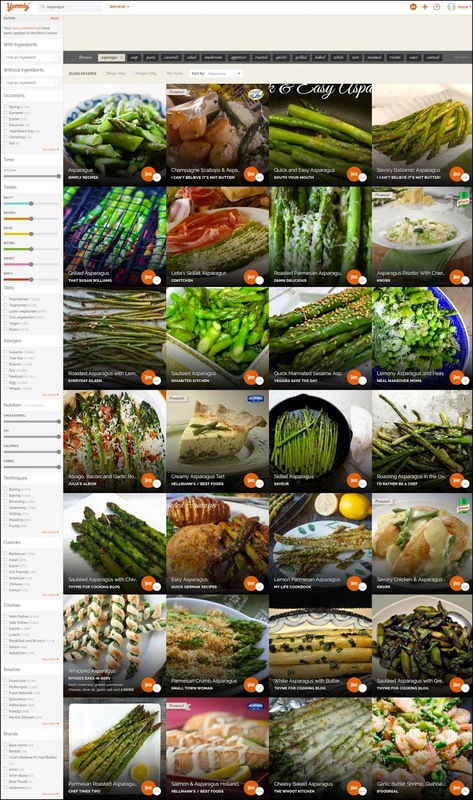 You can search recipes by season, popularity, publisher, taste, cuisine, diet, nutrition, allergy, cook time and more. 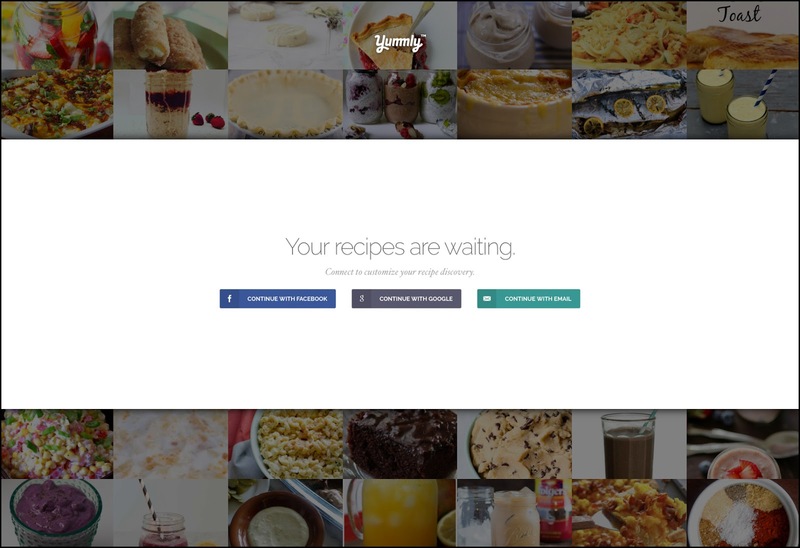 Plus, based on recipes you’ve already "Yummed," the site will make recommendations. So, the more you Yum, the better the recommendations get. It’s easy to go down the rabbit hole. If you’re anything like me I usually open the pantry or fridge on weeknights without a plan. It’s more of a “what have I got and what can I make with it” situation. With Yummly you can discover recipes to make right then and there based on what you have on hand using the “with” and “without” filters. Yummly automatically gives you calorie calculations for recipes based on the ingredients and servings. I’ve been watching my calories lately, so this is personally a really important feature to me as a recipe creator and eater. Oh, and Yummly can also create a smart shopping list. When I actually do have a plan, anything that makes grocery shopping easier is a win in my book. As a publisher, Yummly is a great place for me to showcase my recipes, but as a recipe lover, it’s a great place to discover and save my finds. I've only started using the Yum button on my recipes, but you can check out what's been Yummed so far all in one place, on my Yummly Publisher page: https://www.yummly.com/page/localfoodrocks. So, what is your food-related favorite this week? Friday Favorites are unsolicited and unpaid. These "favorites" are just things I really like at the moment and think are worthwhile to share with you.